As the fifth anniversary of Apple's App Store approaches, an awful lot of popular games and apps have suddenly become free. A funny thing happened on the way to the App Store: a whole bunch of apps were suddenly and surprisingly made free. And not the crap that nobody cares about, either; we're talking about things like Infinity Blade II, Tiny Wings HD, Superbrothers: Sword & Sworcery EP, Traktor DJ - I don't know what that is, but it normally goes for $20 - and a whole bunch of other stuff, all totally free. There are some serious deals among those that haven't gone free as well, including LEGO Harry Potter: Years 1-4, which is down from $4.99 to $.99, Bastion, also down from $4.99 to $.99, Batman: Arkham City Lockdown, $5.99 to $.99 and Polaris Office, which has been cut from $12.99 to $4.99. Why? 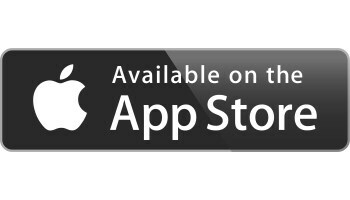 Nobody knows for sure at this point but the general consensus is that Apple is marking the fifth anniversary of the App Store, which went live on July 10, 2008. Apple has yet to make it official but the apps are cheap, and that's good enough for me. You can check out all the hot, sweet deals on your iThingie or, perhaps more conveniently, at AppShopper.com.